Adam and Drew open the show by going straight to the phones and speaking to a listener who has been dealing with Chron’s disease for over 20 years and takes issue with something she’s heard Adam say about the disease. They also talk to a caller who has a solution for Adam’s desire for Los Angeles to have flashing yellow turn arrows to allow for safe turns against traffic and speed up the city’s traffic flow. 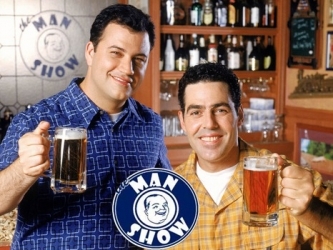 Later Adam and Drew examine the long lost Tom Shales ‘Man Show’ review. This entry was posted in Podcast on September 6, 2017 by Chris Laxamana.